A piece of my mind. : Crazy Customised Cars! 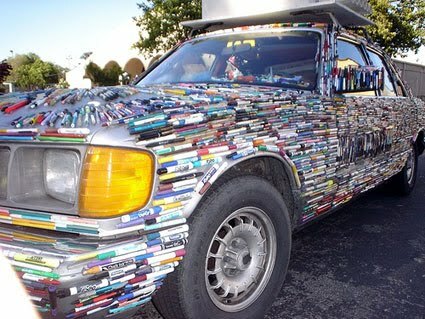 What do you get if you turn a car into a piece of art? A cart! This blog is dedicated to the wonderful world of carting, showing examples from all over the world. In the top picture a man now referred to as 'The Pen Guy' collected free pens over 5 years then completely covered his car with them. 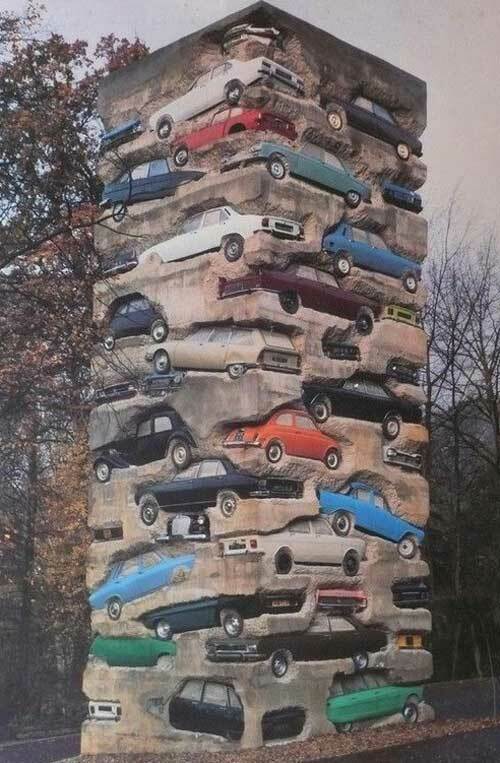 And a more extravagent example of carting can be seen in the second image using cars molded into concrete. Check out the blog to see more crazy cars, bikes, limos and Jeeps. Second picture is just crazy but I loved the art of this 19th century cars. This cars are no good and they need to be made into art so that people can still appreciate this cars.